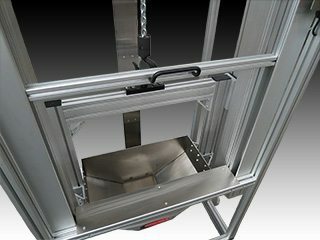 The Performance Feeders hoist elevator is a space-saving bulk parts elevator that allows parts to be loaded at an ergonomic height and discharged at heights up to 84″. 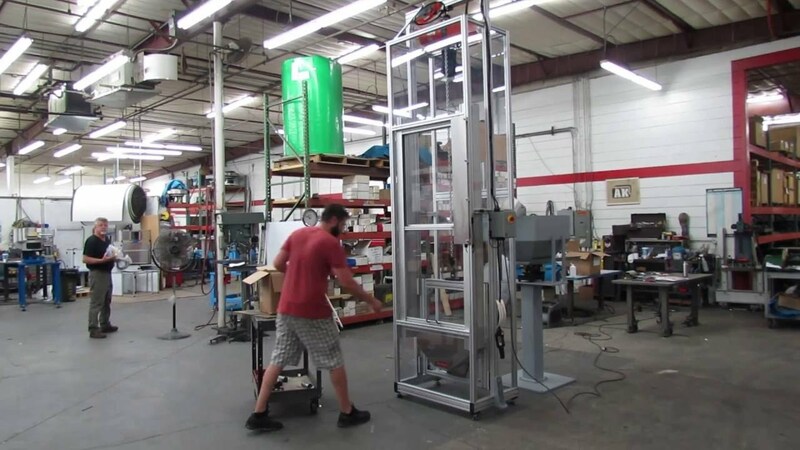 With a 24″ x 36″ footprint and vertical lifting, the hoist elevator takes up much less floor space than other bulk elevators. 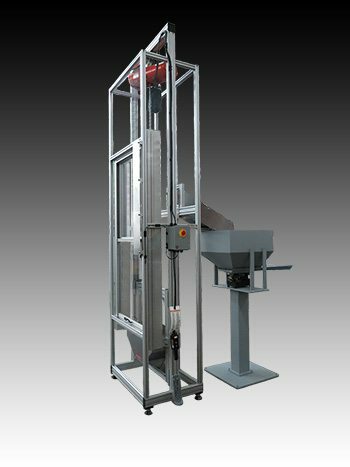 The space-saving hoist elevator allows parts to be loaded at an ergonomic height. The operator loads parts into the bin, closes the loading door, and operates the elevator with the handheld pushbutton controller. 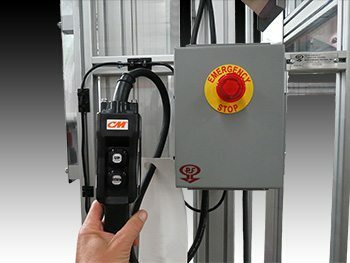 Safety features include an interlock switch on the load door that prevents operation of the elevator when the door is open, and an emergency stop button. Hoist elevator shown discharging into vibratory hopper (not included). Part loading area shown with loading door open. The elevator is equipped with an interlock switch on the door that prevents the hoist from operating unless the door is closed. Stainless steel bin and discharge chute, available with UHMW lining for part protection. Extruded aluminum frame with clear Lexan panels. Ergonomic load height allows loading without operator having to bend over or lift boxes overhead. 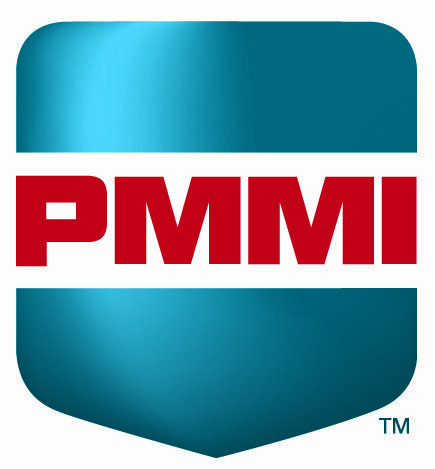 Handheld operator controls with simple pushbutton operation. Interlock safety switch on load door that prevents operation of elevator with load door open. Bin capacity: 2 cu. ft. Weight capacity: Up to 300 lb.